Sometimes also known as the ‘break-bone’ fever, Dengue is a highly dangerous virus. Monsoons are back and so is dengue. This season greatly increases the breeding ground of mosquitoes and deaths from Dengue are not uncommon in India. The number has significantly gone up by 11,500 as compared to last year. The disease is spreading widely and we all need to be prepared for it beforehand. But in order to cure dengue, we first need to understand it. So what is the cause of dengue? Dengue is caused by mosquitoes. 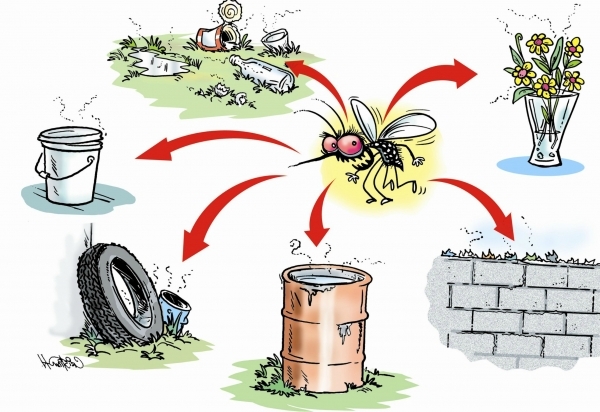 If a person is infected with dengue and a mosquito bites the person, the mosquito is now carrying the dengue virus and will transfer it to whoever is the mosquito’s next victim. 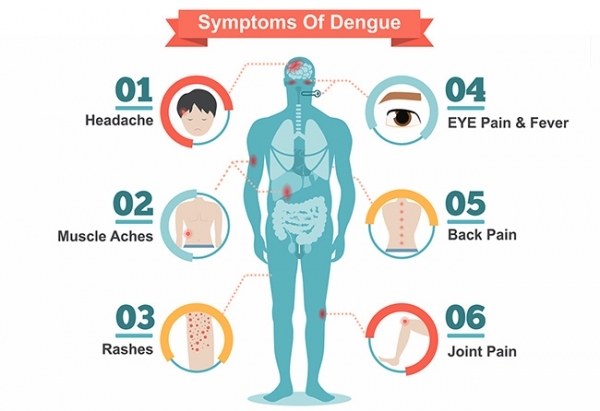 You may also note that once you have been infected by dengue you are only immune to its virus that has affected you and not the other three kinds of dengue viruses. The risk of developing with dengue increase with the increase in the number of times this virus has affected you. The virus can be deadly if it is affecting you the third or fourth time. Sometimes you may also experience minor bleeding from your gums or the nose. 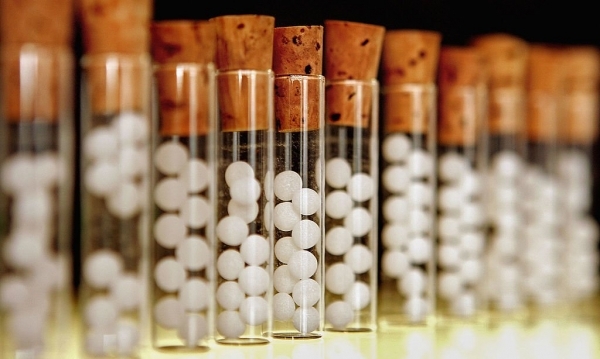 What are the best homeopathic remedies for dengue? EUPATORIUM PERFOLIATUM 200- This is the best homeopathic remedy for dengue. The pill is also commonly known as the bone set as it brings relief in joint and bone pain as well as fever quickly. This pill also works wonders in reducing pain in the eyeballs caused due to the dengue fever, headaches, nausea, and vomiting. 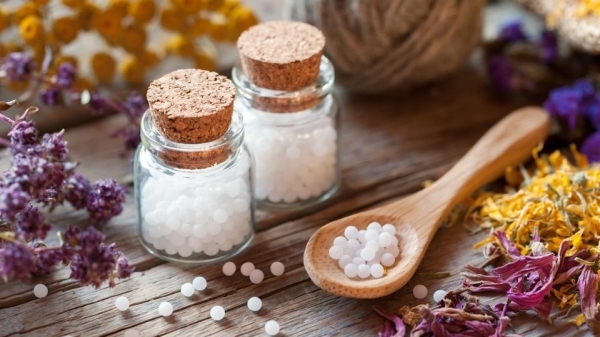 Doctors generally recommend this medicine when the patient is having chills and severe pain. If you are sweating it might be a good thing as it will bring you relief n all your symptoms except for headaches. GELSIMIUM- This one is especially for patients who experience a lot of weakness during the fever. If the fever has made the patient dull, light-headed, dizzy and very weak this is the perfect remedy for it. Sometimes during this fever, the patient may want to lie down quietly and refrain from having any conversations. Apart from this it also helps with a headache and pain in the eyeballs, both of which are common dengue symptoms. A headache is generally at the back of the head and can travel up and down your spine which will be a source of great discomfort. This pill helps greatly in relieving all these symptoms. IPECAC 30 and ARSENICUM ALBUM 200- This medicine should be your go-to pill if the person is having constant nausea and regular vomitings. While Ipecac will help in relieving nausea and the vomitings caused by dengue fever, arsenic album will help in reducing the cause, that means sometimes the person can feel nauseous through smells and can refrain from eating or drinking. These two pills will help you in this situation. BELLADONNA 200, GELSIMIUM 200, EUPATORIUM 200- If your major concern during this fever is extreme headaches, this is the best kit available in the market for you. Belladonna works great if the patient is experiencing headaches on the side of the head, which is your temples. While using this one keep in mind if the pain is way too hard and is constantly coming and going, tight binding may provide great relief to the patient. Gelsimium is for when the pain is at the back of your head. As stated earlier, this pain can travel back and forth your spine and sometimes may also reach your forehead. Pain in the eyes is a common symptom as well. Eupatorium is perfect when a headache is on the top of the head also known as the vertex. Vertex pain is generally accompanied by vomiting and this pill is a great solution for this. It is not important that you may refrain from sending your ward to school and daycare, or even refrain yourself from working in open areas but people who are already having a fever from dengue infection should not go out where they may be more susceptible to the mosquito bite and should prefer to remain indoors. If this is not possible they should at least stay in a safe environment until they have got rid of the fever and are therefore no longer contagious. This may vary from a period of 3 to 5 days. Although there is no vaccine to prevent it, you may make sure to wear fully covered clothes and apply mosquito repellent creams at all times. Apart from protecting yourself on a personal level, it is also very important to keep not of the environment around you. Make sure there is no puddle of water near your house which is the perfect breeding ground for mosquitoes. If a person is infected make sure he stays in a very safe environment especially with no mosquitoes as this may increase the risk of spreading the virus. Avoid going to green areas like parks as this is where you will majorly find mosquitoes in a vast number. During this season spread awareness and make sure you be on alert at all times of mosquitoes.